As you may already know, Microsoft recently made a cumulative update for Windows 10. Update KB4489899 introduces a bunch of improvements and fixes for the previous cumulative update. Microsoft said this update will address issues in Microsoft HoloLens, especially as it relates to tracking and device calibration. The update will also resolve a bug that causes mouse and graphics slowdowns when playing games such as Destiny 2. While the update improves the reliability of Microsoft HoloLens, not everyone seems to be happy with it: KB4489899 is the cause of perpetual computer breakdowns for some users. If you encounter a frozen screen, a blue screen, or boot issues after installing KB4489899, then we are here to help you. We will discuss the major challenges caused by KB4489899 installation, how to resolve them, and how you can avoid these problems. To most people, crashes aren’t a major issue with Windows because the OS is usually rock solid, but the latest releases seem to make Windows 10 buggy. For instance, KB4489899 causes computer to constantly crash. The most common ways to fix PC crashing are: troubleshoot software issues, resolve hardware issues, and restore Windows. 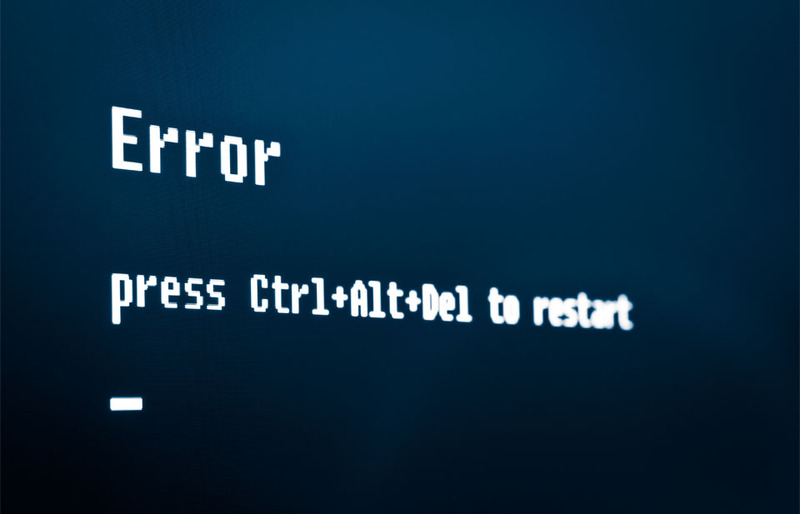 Blue Screen of Death, also referred to as a ‘Stop Error’, usually occurs as a result of failures in your device hardware or its driver software. Low-level software operating in the Windows kernel can also trigger BSOD. These failures cause Windows to stop working. The only thing you see is information about what may have caused the ‘Stop Error’. The worst fact is that programs in your PC may not save any open data, which can lead to data loss. Getting back to BSODs that occur after installing KB4489899, it seems they happen almost immediately. Perhaps you have just installed KB4489899 and your computer gets a blue screen, so what do you do to resolve the issue? The only thing Windows can do at this point is to restart itself. An easier option for most people is to restore the computer to an initial state, but your computer may reboot. Some users have reported difficulties when trying to log in after the computer rebooted. Restart your computer. When you start a PC after a crash, it should take you to Advanced Start. If that is not the case, press the power button as soon as the Windows logo appears and the computer enters Power-On Self-Test (POST). If you repeat this process for at least three times, the computer will go to Advanced Startup. After clicking the Advanced startup button, choose the Troubleshoot option, then Advanced options > Command Prompt. Once you have completed the above steps, restart your device. Windows 10 should boot with no issue. Some users have also complained that their computer freezes and crashes after installing KB4489899. Typically, a computer freezes because of problems such as software errors, missing or corrupted files, driver errors, insufficient RAM, and altered BIOS settings, among others. But, if your computer freezes after installing KB4489899, you can use any of these options to resolve the problem. Log in with the second Admin account details. After that, open Settings > Update & Security > Windows Update. Under Windows Update, select the update button and download KB4489899. After that click Restart now. Click on the power menu, then select Restart while holding the shift key down. The Advanced start menu will pop up, so select Troubleshoot, and then go to Advanced Options. Select ‘Go back to previous build’, then follow the directions to complete the process. But if you want to uninstall the Anniversary Update using safe mode, then you will need to select Startup Settings > Restart, then press F4 or select option 4 to boot in safe mode. After that go to Settings > Update& security > Recovery, then click Get started under the ‘Go back to an earlier build’ option as you complete the task. Download Windows 10 Update assistant by clicking Update now. Run the file you just downloaded to start the update. After that, choose Update now to re-install the Anniversary Update, then follow the provided instructions to complete the process. If you cannot resolve the issues with the above strategy, then you can move to a new Windows account. You may experience authentication issues with Internet Explorer after installing the update. This problem usually occurs when several people try to log in on a specific Windows Server machine. To fix the problem is rather simple. Simply create a unique account for each user. Besides this, also disable multiple RDP logins for a single account. Some applications that support external and internal audio output may stop working when you install KB4489899 on a machine that has several audio devices. Thankfully, KB4490481 sorted out this issue. This temporary solution involves choosing ‘Default Audio Device’, which is available in the app’s option After which, adjust the volume level using per-application audio adjustments: Setting > System > Sound > App Volume. Installing this update may trigger MSXML6 to stop applications from responding whenever an exception is thrown as a node operation goes on. So far, Microsoft doesn’t have a clear solution to this problem, but it has promised to resolve it in an upcoming release. With Windows 10, users no longer have the luxury of blocking certain driver updates and security patches as they wish. Microsoft has automated and simplified the process, only that it has done so at the expense of transparency. Some of the latest updates, such as KB4489899, come with bugs. Nonetheless, these updates improve system performance. You may want to avoid or delay installing KB4489899, but you can only do so for so long. The best way to escape most of the challenges that come with this update is to prepare before installation. So, you need to install the latest servicing stack update to improve the integrity of the update process. And, if you have already installed the update and your computer constantly crashes, freezes, or BSODs, then the above tips will help you resolve the problem. Some bugs come when you least expect them, but that shouldn’t be a worry because you can rely on Outbyte PC Repair to restore your computer stability. Did you resolve KB4489899 issues? What other issues have you experienced after installing KB4489899? Please share them in the comment section below. Next Tlu.dl.delivery.mp.microsoft.com: What Is It and How to Fix It?